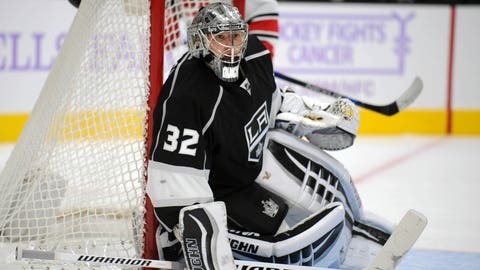 Kings goalie Jonathan Quick owns a 216-142-46 record in 414 career NHL appearances. Quick posted a 2-0-0 record (.971 save percentage) as the Kings extended their win streak to five games. The 29-year-old Milford, Conn. native improved his career mark (10 games) to 8-0-2 when facing 40 or more shots on goal. During the week, Quick notched his 38th-career shutout. The Kings return the ice on Tuesday vs. the Jets starting at 4:30 p.m. on FOX Sports West.